About Us - All Protect Systems Inc. Welcome and thank you for visiting All Protect Systems Inc. We are your total solutions provider when it comes to fire alarms and life safety systems. Our company is based in Waterloo, ON, servicing Kitchener, Waterloo, Cambridge, Guelph, Elmira, New Hamburg, Wellesley, Listowel, Stratford, Woodstock, and surrounding areas. 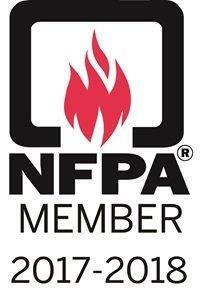 All Protect Systems Inc. has been providing quality fire and life safety systems solutions since 1996. We service, install and maintain fire alarm systems, fire warning systems, fire extinguishers, emergency lighting, exit lighting, fire safety plans and sprinkler systems. All Protect Systems Inc. is owned and operated by Michael & Joanne Fritz, along with our office and field technical support staff. We are large enough to service all of your fire and life safety needs, but small enough to provide superior customer service and support. For professional, personalized and caring service and support contact one of our team today. All Protect understands the importance of customer satisfaction and quality workmanship. We are committed to doing business using an honest, professional and competitive approach without compromising quality. Thank you for considering our firm, you won’t be disappointed! Call us today to discuss your fire and life safety requirements at 888-892-9185 or by email to sales@allprotect.ca. We are the experts in fire and life safety systems.